Here is the highlights of Interim Rail Budget 2014. State of Meghalaya and capital of Arunachal Pradesh to be on Railway Map by this fiscal. Gauge Conversion of strategically important 510 km Rangiya – Murkongselek line in Assam to be completed by this fiscal. Dedicated Freight Corridors on the Eastern and Western Routes – leading to strategically critical capacity augmentation. In 2013-14, 1532 km of New Lines, Doubling and Gauge Conversion commissioned. Production commenced at the new factories – Rail Wheel Plant, Chhapra ; Rail Coach Factory, Rae Bareli ; and Diesel Component Factory, Dankuni. Specially designed coaches for adverse weather condition for rail travel in Kashmir. Successful development of Corrosion resistant, lighter wagons with higher pay-load and speed potential upt 100kmph. Railways sportspersons dominate national events by winning titles in 23 disciplines and runners up in 9 disciplines. In various international championships a total of 2 Gold, 4 Silver and 3 Bronze Medals won. Unigauge Policy started in 1992 has converted 19,214 km to Broad Gauge, benefitting several States including Gujarat, Rajasthan, Madhya Pradesh, Maharashtra, Karnataka, Uttar Pradesh, Assam and Tamil Nadu. 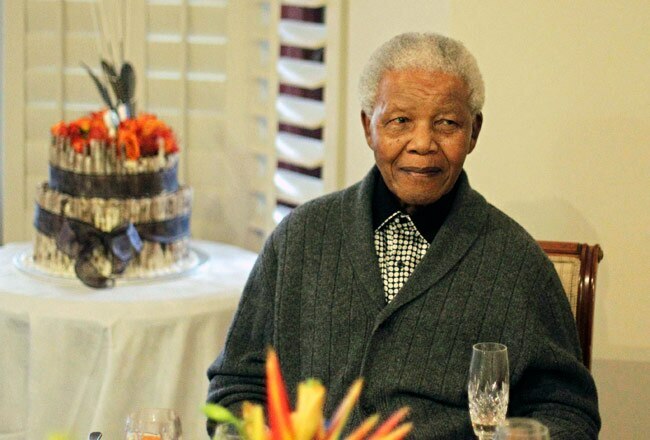 Nelson Mandela, the anti-apartheid revolutionary of South Africa died on 5 November 2013. He was of 95 years old. He died in his house at Johannesburg following a long illness. He was also known as Madiba in South Africa. He was receiving intensive medical care at home for a lung infection after spending three months in hospital. His death was announced by the South African President, Jacob Zuma. He announced that Mandela will receive a full state funeral and the flags would be flown at half-mast until the state funeral. Nelson Mandela was one of the world’s most revered statesman for preaching reconciliation despite being imprisoned for 27 years. He was the first black South African to hold the office of President from 1994 to 1999, and the first elected in a fully representative multiracial election.